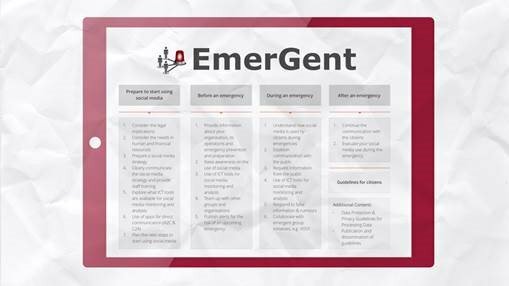 We conducted a survey for Emergency Services to evaluate Social Media in emergency situations. 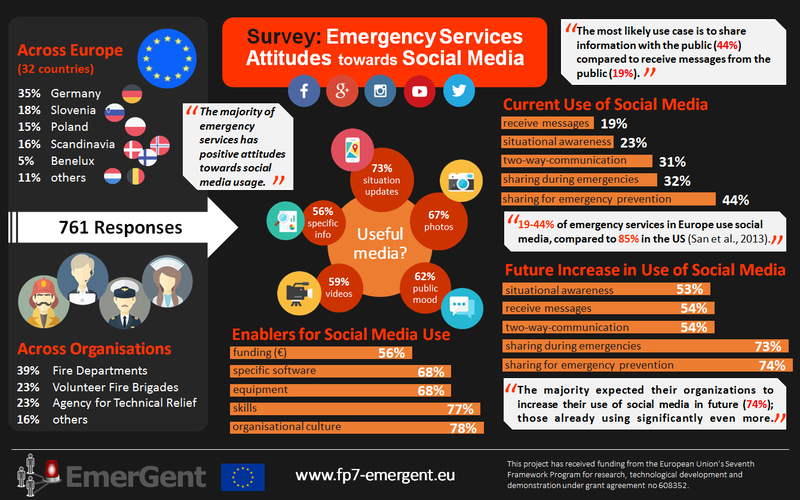 Now you can find a graphical presentation of our findings from the survey under Press Releases. 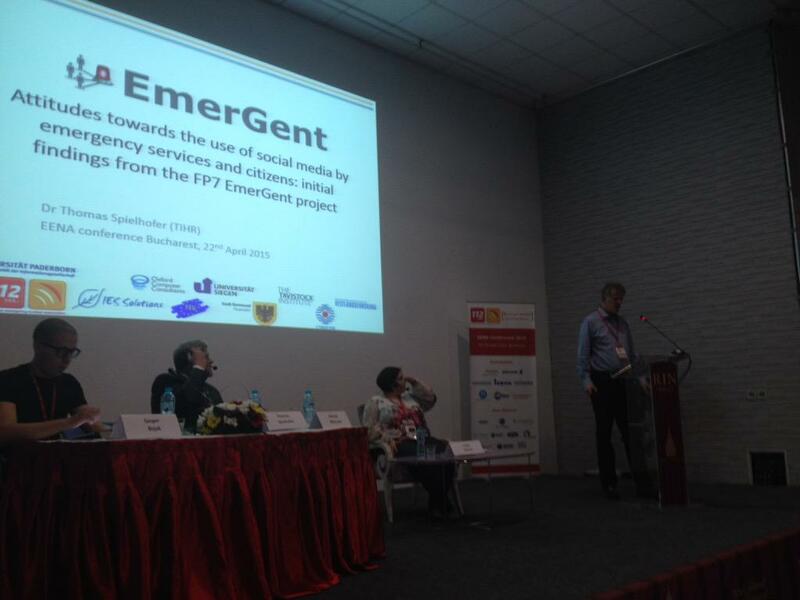 We are proud to present the EmerGent project and our objectives on the EU Project Symposium at the ISCRAM conference at 27th May 2015. 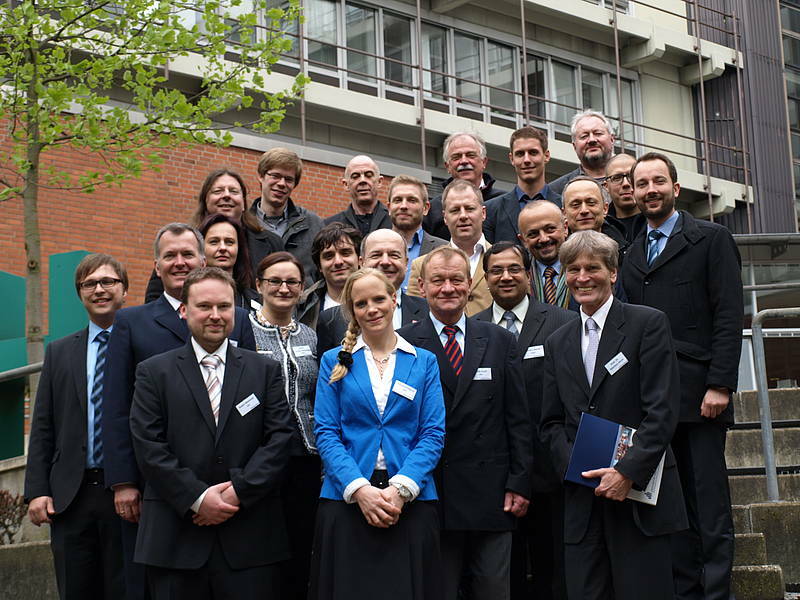 EENA brings together European emergency services, public authorities, researchers and industry representatives every year. This year Thomas Spielhofer and Gasper Bizjak presented most recent findings from EmerGent to show the potential of our project to a sophisticated audience. 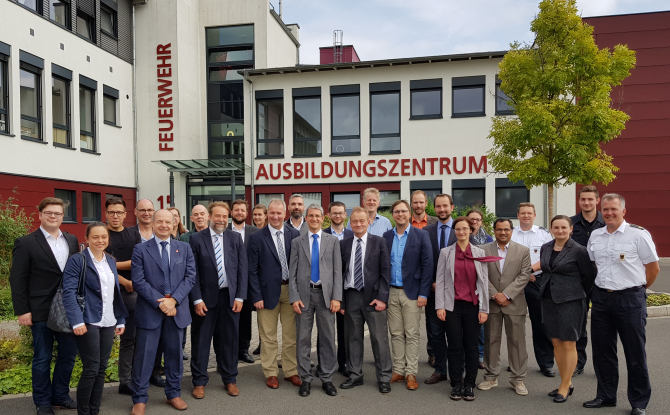 Our new FP7-SEC project Emergency Management in Social Media Generation (EmerGent) had a successful kick-off meeting in Paderborn, Germany from 15.04. to 17.04.2014. 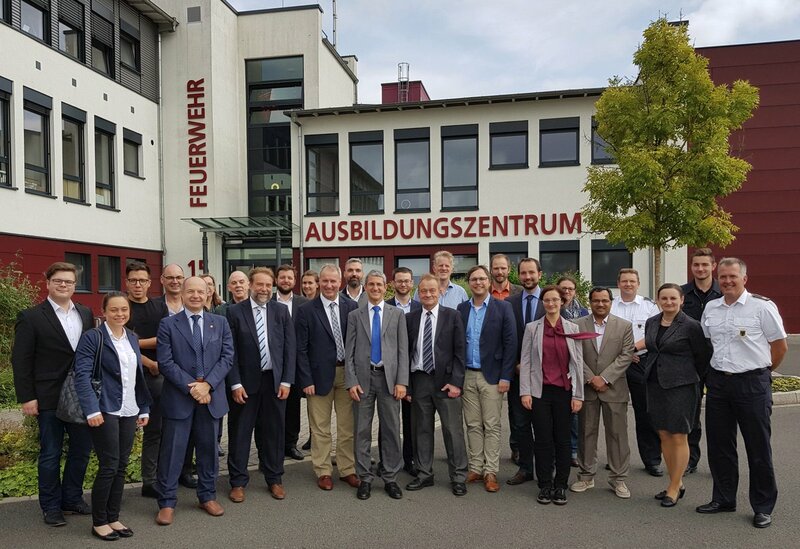 Partners from all partner countries came together in order to initiate the work in a project with ambitious objectives. See the first press article.